Miriam Uche Ogbonna (Aka Mimigold), has defined her style of music to be AFRO – HIGHLIFE. The 20year old has managed to carve her style out of the norm. She started doing music professionally at the age of 14, with the support of her family, she has been to over 80shows. And when asked why she took so long to put out her song , she replied “I was waiting for maturity to kick in”. Now this 20year old artiste, is ready to take over the industry with her uniqueness and is not going anywhere, anytime soon. Here she delivered a brand new anthem which she entitled “EGO”. The song was produced by Killertunes. MimiGold showcases her lyrical ability and has delivered as expected on this brand new jam. Download, Listen, Enjoy and don't forget to share your thoughts below..
Nigerian musician, singer-songwriter, entrepreneur and television personality, D’Banj is one act who is constantly up in our faces with the release of quality music projects but of late the singer has had to take a break after the tragic incident which led to the death of his son, Daniel III. Making a comeback and speaking on the death of his son, D’Banj releases this new number titled “Letter To My Wife” which is dedicated to his wife, Lineo Didi Kilgrow, whom he married in June, 2016. 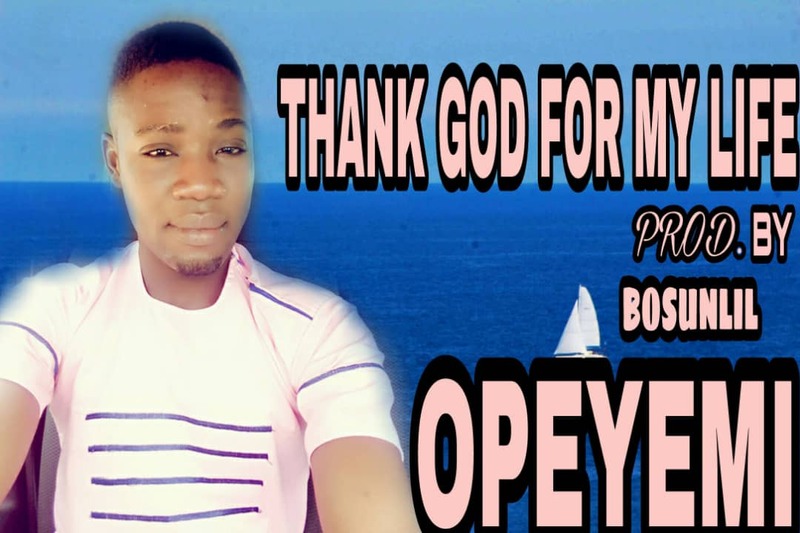 Fresh from Ori Lomo crooner, Opeyemi he titled this one "Thank God". Don't let me waste time, hit the download button now to get your own copy of Thank God. Opeyemi is out with a new song and we can’t wait for you to hear it. This one is named "Somebody Say"
The artist has been dropping nice songs in the past few months and this also is worth betting on.